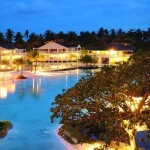 Kota Beach Resort is a tropical paradise nestled in Bantayan Island, Cebu. Its curved, white sand shoreline and cool, calm clear waters entice tourists from different parts of the world to bask under the sun and experience quietude from the bustling city. Kota Beach is at the heart of Sta. Fe in Bantayan Island. The resort was established in 1986. 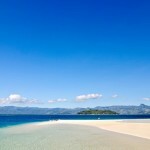 It boasts of its long stretches of white powdery sands and pristine blue waters. The resort’s simplicity and natural beauty unceasingly attracts both local and foreign visitors. To top it off, its serene and relaxing ambiance draws those in search of peace and quiet. The resort’s room accommodations come in affordable rates. *All rooms (except for Aircon Room Double) are good for 3 persons with 1 single bed and 1 double bed. Maximum of 2 extra persons are allowed per room with Php 200/personextra charge (mattresses will be provided). *All rates include free round-trip transfers from Santa Fe pier to Kota Resort and back. *Holy Week Rates are double the regular rates. All rates are subject to change without prior notice. The resort also offers basic services, such as free pick-up from Sta. Fe Port. Kota also makes arrangements for boating, kayaking, body massage session, and reflexology services. Food is not a problem as the resort offers its guests a feast to satisfy their palates. It also serves sumptuous à la carte meals. There are also nearby restaurants that are just a walking distance from the resort. Guests can feel a lot safer because aside from the resort’s round-the-clock guards, the town’s police station is just a few meters away. There’s even a parish church at the end of the street where the resort is located. Hi good am. How much is your room rates? Do u have available room for today? i am so interested in your resort.. i will be there … i promise myself! Everything Cebu is not in any way connected with Kota Beach Resort. You may reach them using the contact information in the write-up. can i get your manila contact number? or any globe number? 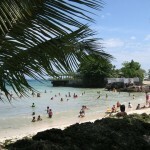 we are going to cebu this coming nov 3-5.. and we’ve decided to visit kota beach resort. may i know how to reserve rooms? and everthing?